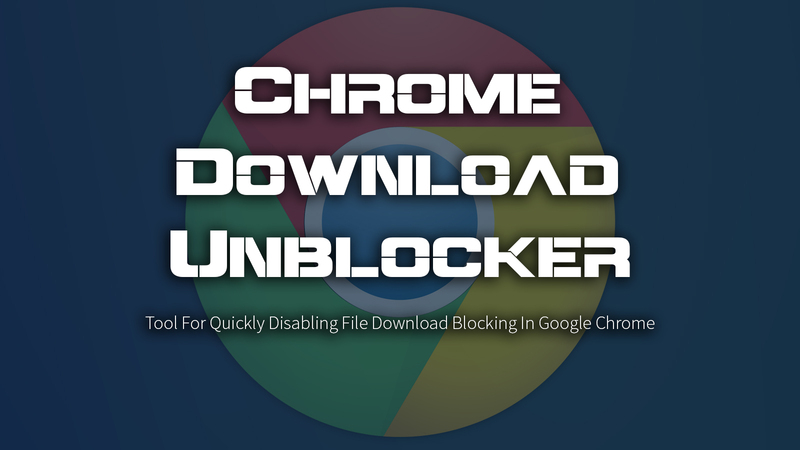 Chrome Download Unblocker (formerly known as Chrome Malware Alert Blocker) is a freeware that allows you to instantly disable blocking of file downloads in Google Chrome browser. It works on both 32-bit & 64-bit systems starting from Windows XP to Windows 10. First, download ChromeDownloadUnblocker.zip onto your computer (Download link is at the end of this article). 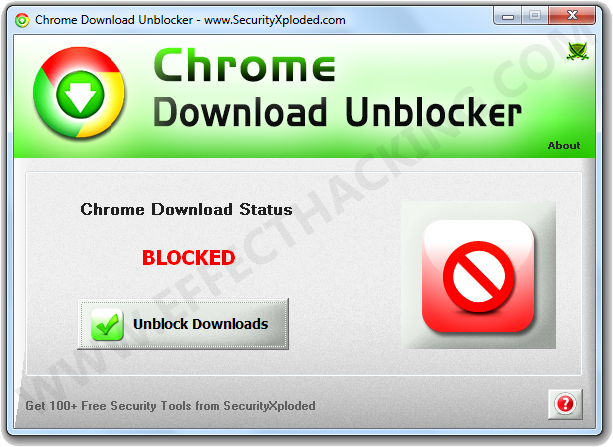 Then, extract the .zip file, then run "ChromeDownloadUnblocker.exe". You will see a window as shown below. You should now be able to download any file using Google Chrome. If it is not working, then clear the browsing data, and then exit Chrome, and try again.